There are a lot of possible causes of nasal scarring. However, all possible causes of nasal scarring have something to do with an injury to the nose. In severe cases of nasal scarring, it can cause symptoms that can affect a person’s normal breathing pattern and nasal scarring can also affect a person’s olfactory senses or worse, there will be a total loss of the olfactory sense. Good thing about nasal scarring is that it can be corrected through surgical procedures. 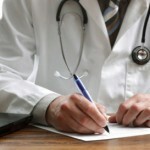 However, surgery can cost money and surgical procedures can come with negative side effects and complications. Before deciding to undergo a nose surgery for cosmetic purposes, you should weigh the advantages and the disadvantages of the surgery. The nasal tissues are too delicate that it can take a long time to heal. Most of the time, nasal scarring is not observed right away, since patients post nose surgery disregards any discomfort during the healing process, for he or she thinks it is normal. One of the most common causes of nasal scarring is accidents. There are many types of accidents that can injure the nose, even people who are into contact sports are at a very high risk of nose injuries. 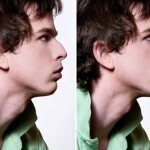 However, there are also external factors that can cause nasal scarring that is not caused by an accident of any kind. Getting your nose pierced the wrong way can cause nasal scarring. 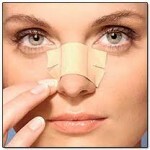 There are nose injuries that can only be corrected through surgical procedures, such as rhinoplasty and septoplasty. Most people think that when they will just expose themselves somewhere with fresh air after exposure to harmful chemicals can eradicate nasal problems, then they are very wrong. Long exposure to harmful chemicals can cause adverse effects that will not only cause nasal scarring, but can also cause respiratory problems and even death.